I've always loved the color green. It's fresh, clean and vibrant. While I couldn't have my entire house decorated in this color, I do like a few pops of it here and there, even if it's subtle. I love how the gorgeous piece of art done is shades of green pulls this room together. 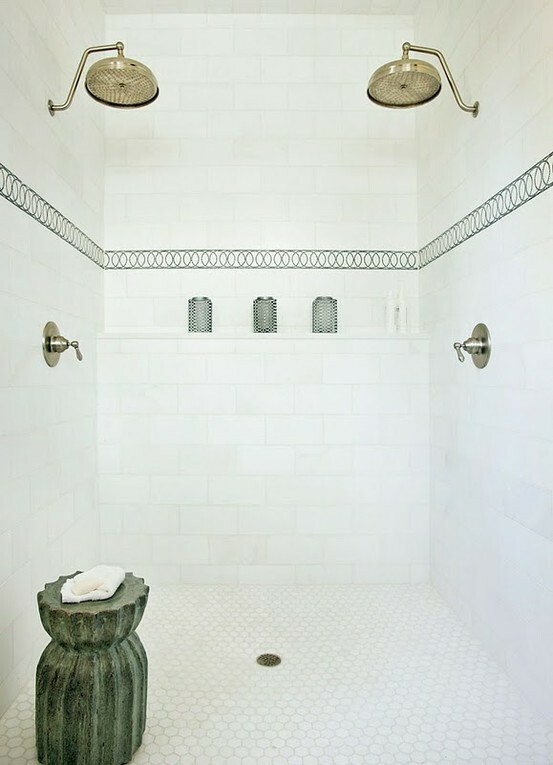 This shower by Tracery Interiors is spectacular. Not only do I love the shower heads and tile, I quite adore that green garden stool! And, I think these tufted sofas are lovely. How do you feel about adding a little green to your home?